The manual further slanders, out of incredible prejudice, a series of despicable behaviours by attributing them to such populations, such as they (the men) are out of economic prosperity by exploiting their wives and children in exercising their "honour-norms". These patriarch-type postulations in association with Muslim immigrants - in my view belonging to cultural-racism theory - are those found in the radical feminist statements of Swedish academics Eva Lundgren and Jenny Westerstrand. In a strict sense - provided that such affirmations above express contempt  for ethnic or religious groups (such as Middle East men, or Muslims men) - would they not be in violation of anti-discrimination Swedish legislation? That would really mean that Sweden has a rule of law, where law is equal for all independent of ideology. However, the facts show that not only official publications issued by for example the Prosecutor Authorities themselves, but also utterances by Swedish Professors and academic doctors, express contempt towards Ethnic or Religious minorities in Sweden. More critically, such cultural-racist expressions are tolerated by the very legal system which is supposed to react, are in itself expression of the discussable status of such legal system. This analysis sets the record straight in what epidemiology concerns, about the phenomenon "honour-killings". My query was about the actual, proven prevalence of such cases in Sweden. As becomes evident after a simple analysis of prevalence, such a phenomenon has been magnified in its alarming character by the Swedish authorities and the mainstream press. Of two thousand killings in Sweden in twenty years, only six cases were honour-related. This means only the 0.3 per cent of all killings, and 0.001 per cent of the Swedish Muslim population! However, the Swedish mainstream press has published over thousand articles on the "alarming honour-related killings" (hedersmord). 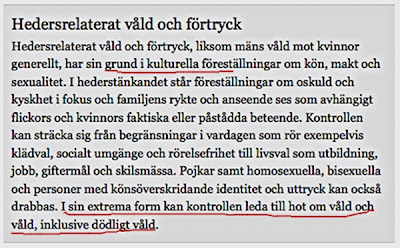 A particular flagrant propagation of cultural-racist notions is the one popping up in an official site by the Government of Sweden. The site “Men’s violence against women” (Mäns våld mot kvinnor) focuses in describing the government program set up to deal with that problem. However, at the very top in the list it is announced an “Action Program to combat violence against women, honour-related violence…”. This may be giving the double-fold misleading notions on that a) It would be an established fact that the "honour-related" violence exercised by immigrant men to immigrant women (which in Sweden is usually attributed mainly to to "Muslim culture" individuals) is the most prevalent or characterizing such phenomena in Sweden. But is this true? Do the police reports on men’s violence against women overwhelmingly refer to Muslims, or to immigrants for that part, or to Swedish-born, white male cases? ; or b) that such violence is “cultural” determined. The actual prevalence of "honour-killings" among Muslims in Sweden is, expressed in rate: 0,1 cases per 10,000 individuals in the Muslim population! When you visit the government sites linked above, do observe that not a single clear-cut statistics or figures is given in the whole sites on the actual occurrence of such criminal behaviours in Sweden, beyond phrases such as "an estimation on believes made by..." or "it is believed", etc. 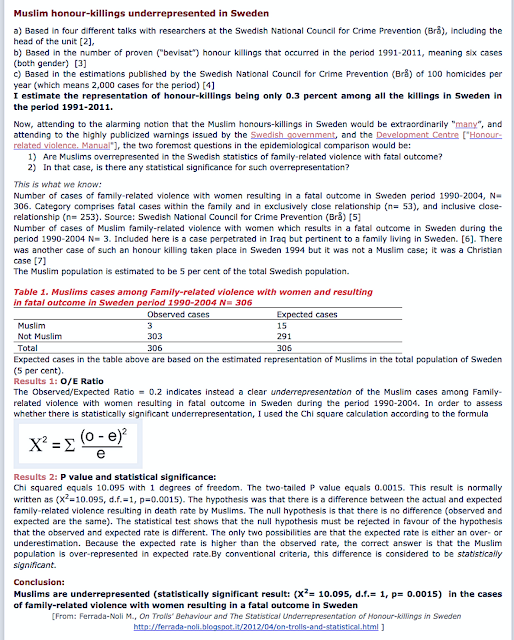 Moreover, no statistics is given to sustain the government’s cultural-racist assumptions on a higher prevalence of violence against women or honour-killings among such "cultural" groups (particularly Muslim men), in comparison to other immigrant groups or the general population which included for the most part native Swedes. At the Swedish Ethical Review Board in Uppsala I also review in this analysis some items about the methods/procedures pursued by Westerstrand aimed to demonstrate her prejudiced points of departure. These methods - which contradict guidelines issued by the Swedish Ethical Review Board, have been in this case seriously wrong endorsed by the Ethical Review Board, Region Uppsala (also referred as Ethical Committee). Due to these infringements to basic ethic norms in scientific research, and partly due for regarding such endorsement by the Uppsala Committee as expression of cultural-racism, I resigned to my assignment as alternate scientific member of the Research Ethics Committee. This explains why this text is formulated as letter to the Minister of Research and Education, Mr. Jan Björklund. I had held such position since eight years, appointed by the government. I further inquire in this article possible relationships and geopolitical motives for this apparently campaigns to discredit Muslims minorities, one of the largest cultural immigrant group to Sweden,  actions where we find the involvement of conspicuous academics by the Christian Church. This analysis I do here - focused on the actual epidemiology of honour-killings in Sweden, has no bearing in the critical positions I maintain regarding the flawed immigration policies adopted by the previous and current governments. And when their victory relaxed and the secret no longer was held, it confessed that gender perspective meant only feminist perspective. And then empiric revealed that feminist perspective meant gender supremacy. And finally, when truth spoke through reality, it demonstrated that Swedish state-feminism had evolved into purely cultural-racist, anti-Muslim propaganda. And it showed that one of its results was the linking of "honour-violence" - ascribed with unrepresentative data to Muslim immigrant men - to the "terrorist war"; But this will not help legitimize the Swedish vassal military occupation of Muslim Afghanistan on behalf of the US and Lundin oil. No wonder they fear WikiLeaks; No wonder they attack Julian Assange. The Christian Monarchy of Sweden, Government Offices. I had in several occasions stated my reservation about decisions of the Uppsala Committee for general research for considering such decisions do negate the very ethics of both scientific research and ethical review. 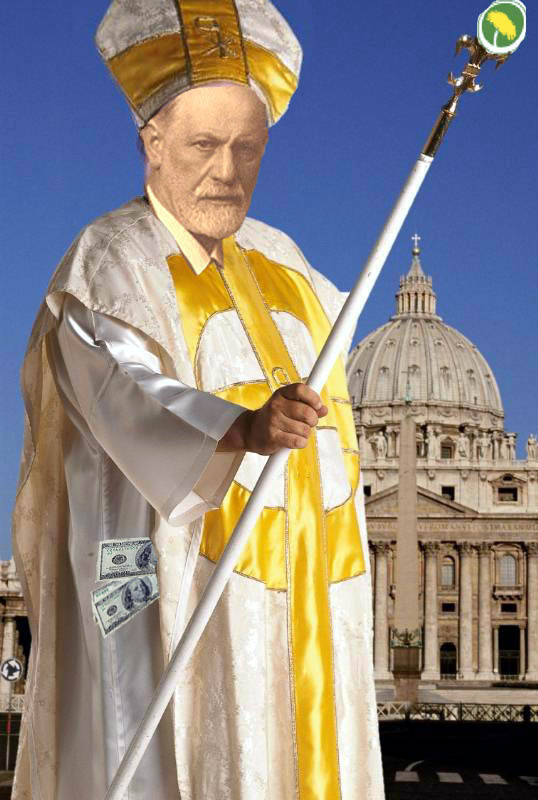 Principally, I have protested the approval of research projects based in unscientific assumptions, religious-biased postulations or with completely absence of epidemiological ground. I have been customary rebutted with the excuse that Swedish legislation does not make mandatory to the Ethics Committee to produce statements on the “quality” of research. 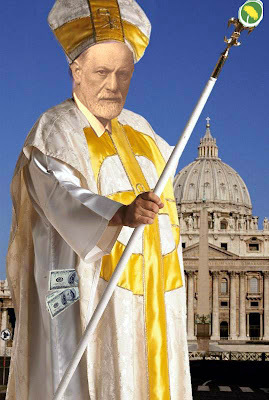 I further protest here with my resignation against the compact intellectual subjection from the part of the Committee towards seemingly fundamentalist Christian theology views, which favour the approval of unscientific ultra-feminist research based in plain cultural-racist assumptions, scientifically unproven assumptions or prejudices. I ask for a revision of the legislation in order to guarantee the Swedish public, grant institutions and public funds, that research ethics review in Sweden will be instead compatible with scientific research and scientific quality. Theology Dr and Professor Carl-Henric Grenholm, chairman of the Theology Association of Uppsala, gave the report upon the Committee recommending the approval. The Committee unanimous followed suit Grenholm position in spite of the serious infringements against the guidelines for research and ethics with humans in Sweden made evident in Westerstrand research application. For instance the mandatory integrity issue the guidelines absolutely demand in asking for consent (samtycke) to the individuals whose personal data and intimal privacy is used for research in Sweden. Grenholm writes he is fully aware of that infringement but postulates that the aims of Dr. Westerstrand's research should be regarded as paramount and therefore the consent-rule be in this case excepted! . But what are the manifested aims of this seemingly immigrant-hostile research? Mr. Minister, I am not an advocate of the Muslim-religion minorities. Indeed, I distaste religions or fanatic supremacist thinking of all kind. As a liberal, I think that Bertrand Russell was in fact right in his rhetorical assessment on whether religions have made a positive contribution to humankind. For, in my opinion, their main contribution has been the invention of war and torture, social alienation, and psychoanalyses. As a left liberal my commitment for human rights are paramount to any other endeavour, and thus I oppose fundamentalist “Muslims” dictatorships, as much as, and no less, I have opposed their fundamentalist Christian counterparts, such as the Pinochet fascist government, or the announced era of the “Bodström society”. This means that I am also here to defend the human rights of every single Moslem, or any minority group, like are now being cracked on society’s pavement by a feminist cohort which I do not believe represents Sweden's feminists at large. I also would like to clarify that my positions are absolutely for gender equality, aiming exactly the same in all spheres of society as formulated by the classical, sound, civilized Swedish feminist movement -- now kidnapped on some issues by a few "radical" voices. Doing research for this article, I was astonished in establishing that in spite of the numerous reports from Government agencies, the Police Authority, far right-wing political organizations, the Swedish National Council for Crime Prevention (Brå), a vast number of feminist militant organizations, the Prosecutor Authority, etc., etc., no data whatsoever is given referred to the actual existence, typology, distribution, prevalence, etc. of "honour-related" crimes; not even statistics about the most spectacular and exploited of them all: the "honour-related killings". No wonder that researcher Jenny Westerstrand appeals in her presentation upon the Research Review Board, as base for "demonstrating" the the magnitude of the problem "honour-violence" in Sweden - and instead to present epidemiological data - to the "fact" that "honour-related violence has come to take space in the Swedish political and medial arena as an important problem". Indeed, the Swedish main stream media has furiously agitated the issue of honour-related killings. Both Dagens Nyheter and Svenska dagbladet had for about a month ago a wide coverage of the subject, including front-page articles and several articles in the same issue. Expressen had a notorious article series of over fifteen articles devoted just to one case in 2011. In total have Expressen produced 244 articles on the subject "Honour-related killings", Aftonbladet n= 330 articles, Dagens Nyheter n= 255 articles, and Svenska Dagbladet n= 298. Total N= 1127 (up to 20 March 2012). Further, considering the cases cases referred to "Muslim families", only five case of “honour-murders” have been committed in Sweden between 1986 and 2010. 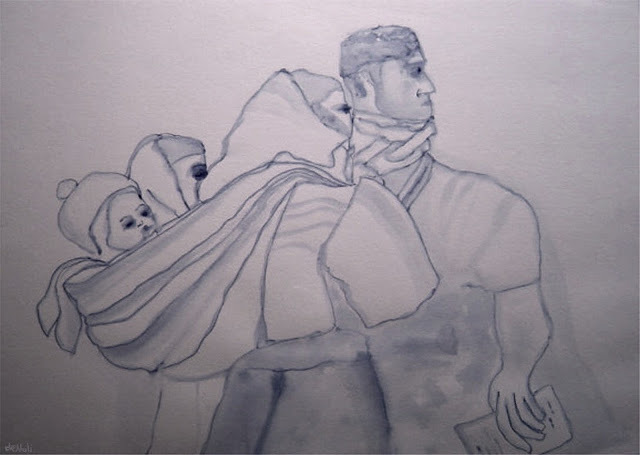 Four of the five cases were Kurds, and one case Afghan (See Wikipedia article ). There is an estimated Muslim population (Islam followers) of N= 450 000 to half million in Sweden. The five killings being listed in the Wikipedia article "Hedersmord" (Swedish) corresponding to crimes perpetrated in Sweden, and related to Muslim (one case of a Christian victim and another case occurred in another country are excluded). In spite that the period-prevalence (1986-2010) of honour-related killings among the Muslim population in Sweden is only 0,001 percent, the Swedish mainstream media (only four newspapers counted) have published over one thousand articles on the issue "honour-related killings (hedersmord)! The Swedish academic authorities decided to lower the scientific demands for researchers, shortening their research education, and the argument given is this would put Sweden in a better position for the output of PhD's in the research market -- so in Sweden more Swedes would pursue a PhD if the demands were shortened. The Swedish academic authorities’ decision was ill-fated. First, it did not consider that in academia abroad the “research-manpower market” issue has been tackled by instead increasing the scholarly demands, thus, augmenting the quality of the PhD's and optimizing their further insertion in the international research arena. In Sweden the strategy focused in the quantitative aspects and gave instead a worsening in the quality of the examined PhD's. Two aspects were coincidentally taken with the decision by the Swedish academic authorities around the epoch. One was that (continuing with the illustration of the Karolinska Institutet - Sweden’s major medical university and in whose faculty the Nobel Prize in Medicine is decided) over fifty per cent of the examined PhD's at the Karolinska Institute were foreign-born, while 90 per cent of the Faculty remained Swedish-born. The other coincidental aspect was the official imposition from the part of the authorities of the “qualitative research method” in conjunction with the obligatory “gender perspective” – read ultra-feminist perspective - in research and education at the Swedish universities (See “Radical-feminism. What is scientific research and what it is not. End of story http://ferrada-noli.blogspot.se/2011/10/radical-feminism-what-is-scientific.html”). This section V corresponds to my critic of the application sent by Dr. Jenny Westerstrand and approved by the Ethical Review Board the 15 of February. I will post it here after I submit the original text to the said Review Board ("Reservation utlåtande"), and have considered the legal issues that I am obliged to as participant in that meeting. Det hedersrelaterade våldet kan förstås genom att kombinera de två sist- nämnda modellerna, dvs. att patriarkalt våld är globalt och att det tar sig olika uttryck i olika kulturer. " Det är storfamiljen som ansvarar för familjemedlemmarnas ekonomi och sociala trygghet. Enskilda familjemedlemmar anses ha få egna angelägenheter, det som rör en familjemedlem rör hela familjen. Frågan om äktenskapspartner hanteras som en familjeangelägenhet, en fråga där familjeöverhuvudet, fadern, har sista ordet. Heder och skam styr familjekollektivet men ansvaret för att dessa värden upprätthålls är fördelat på olika sätt. Mannens heder är kopplat till hans förmåga att försörja och beskydda familjen. Kvinnans heder är knuten till hennes sexuella dygd. Söners bedömda försörjningsförmåga och döttrars kyskhet är således ett kapital på äktenskapsmarknaden." 4. M Ferrada-Noli, "What is behind Swedish cultural-racism"
5. J Westerstrand and E Lundgren, "Risk att Mellanösternmännen uppmuntrar svenska patriarkatet"
" "Slagen Dam" (Beaten lady) authors Eva Lundgren and Jenny Westestrand received thus the 2002 award “Woman’s Deed of the Year” (“Årets kvinnogärning”) given by the nation-wide organization feminist organization ROKS, concretely stating it was on the base of her “research” as published in the book Slagen dam. Ensuing, the radical-feminists politicians advocating for new, harder “gender legislation” - led by the former Minister of Justice Thomas Bodström and his partner Claes Borgström (the lawyer that instigated the case against Julian Assange, after the case have been closed) - obtained such laws, which, under the spirit of Slagen dam’s “epidemiological conclusions” have likely biased hundreds of trials against Sweden men since then. 17. "Så vad händer när det något tillbakasatta svenska patriarkatet möter andra kulturers kraftkarlar som enligt sina hemländers traditioner kan ta flera kvinnor till fruar, ostraffat misshandla dem, ja utsläcka kvinnoliv de förfogar över utan nämnvärda straff, för att inte tala om den markservice de kan utkräva, vård av sina avkommor med rättigheterna till barnen, till arv och till ägodelar? 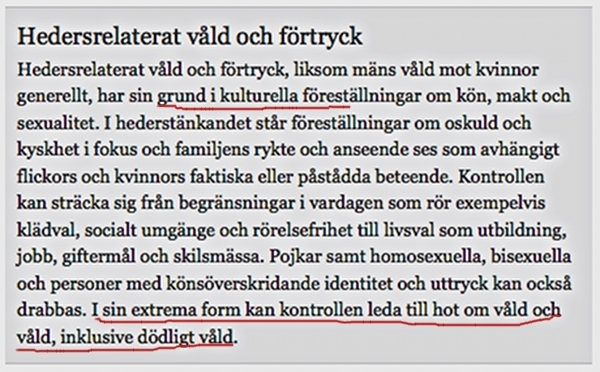 Vilka trådar av ömsesidig förståelse löper mellan männen i dessa olika, men också av gemensamheter präglade, kulturella värderingssystem? Och kvinnorna! Vilka redskap - och vilken vilja - har de att stå upp för feministiska ställningstaganden om kvinnors rätt att leva våldsfria liv? "Svenska" såväl som kvinnor från andra kulturella sammanhang?" 20. Talks conducted per telephone 19 of March 2012 with researchers at the Swedish National Council for Crime Prevention (BRÅ) Åsa Elander, Clara Hradilova, Emma Ekström, and Erik Grevholm. 25. 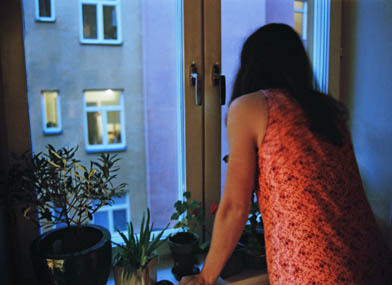 TT, "Många herdersmord i Sverige" ("Many honour-related killings in Sweden"). Interview with Polisinspektör Kikkis Åhre Älgamo. 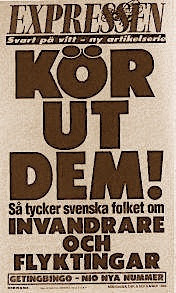 Svenska Dagbladet, SvD, 20 January 2006. 26. Militaryphotos.net, 19 February 2006 "Swedish troop head for Afghanistan"
I am an American exchange student in Sweden. I have felt the under the skin or hidden discrimination in Sweden is a nationwide problem. I am caucasian young male and for the first time in my life I can honestly say I have felt discriminated at the university and nearly impossible to get a part time job. After getting so many rejections for part time jobs, a friend and I decided to test the market. We edited my personal CV. One with my american name and one with a swedish name/surname. We sent the SAME CVs to 30 companies who were advertising job positions via the internet. With the american name I had 17 companies who replied with negative answer and zero positive. With the Swedish name I received 19 negative replies and 6 positive replies for interview or next stage.